Did Dinosaurs Have Stem Cells? Coming soon – join our wait list! By Victoria Fox, Executive Director, Pathways to Stem Cell Science. Pathways to Stem Cell Science has received a one-year $5,000 “Wayne Hawley Giving Grant” from insurance specialists Hawley and Associates LLC. The award, supported in part by institutional matching funds from Pathways to Stem Cell Science, will be used to create 12 scholarships for underserved, low income, and ethnic minority students to attend the 2018 Early Investigator High School (EiHS) Stem Cell Academy Program. 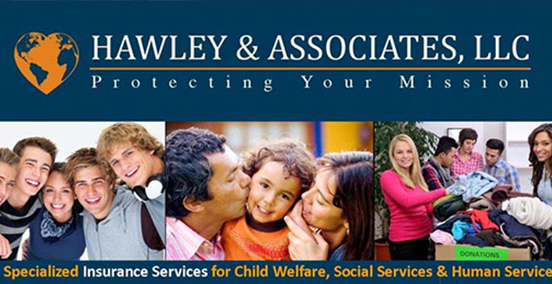 Named in honor of Hawley and Associates LLC co-founder, the Wayne Hawley Giving Grant aims to “help support programs, projects and organizations whose focus is to benefits children, families and their communities”. Of the 35 non-profit organizations that applied for the grant, Pathways to Stem Cell Science was one of only two institutions to receive an award in 2017. In keeping with Wayne Hawley’s mission, the funds will provide transformative education and career guidance to students from underserved and underrepresented communities. To promote diversity and equality, the “Wayne Hawley EiHS Stem Cell Academy Scholarships” will be open to eligible students throughout the US. EiHS Stem Cell Academy is an introductory five-day summer course that explores the exciting science of stem cell research and regenerative medicine. Participating students study the three-major human stem cell systems – adult, cancer and pluripotent, during hands-on laboratory classes and engaging lecture-discussions covering the science, history and ethics of stem cell research. The EiHS Stem Cell Academy Program provides rigorous training in modern skills required for variety of bioscience professions using cancer, neural and induced pluripotent stem cells as an exciting learning platform. Each day focuses on a different aspect of stem cell biology, taking students on a stimulating journey from basic discovery to therapeutic translation. Course participants are also introduced to independent research skills and attend a career development seminar led by industry and academic scientists. Designed for entry-level students, this unique program enables aspiring scientists to gain experience for their college resumes while also building social and professional work skills. Update 3,22,2019: The EiHS Stem Cell Academy Program has been renamed “Intro to Stem Cell Systems” under our newly expanded high school training program. More than just a STEM enrichment program, we kick start the careers of aspiring scientists and enhance the technical abilities of college graduates, through sophisticated training in marketable skills for all career stages. New? Register an account here.